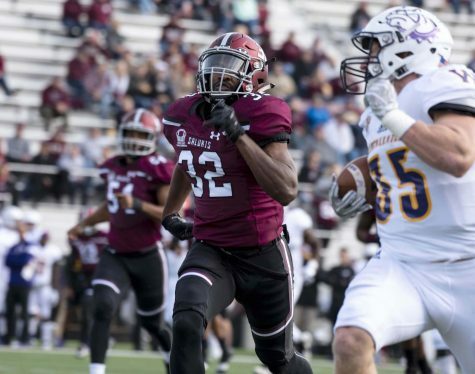 Following a disappointing loss to Missouri State Saturday, and with only two games remaining, the Saluki football look to end their season on a positive note. The loss on Saturday marked the third conference defeat in a row that Southern has suffered and the fourth overall. 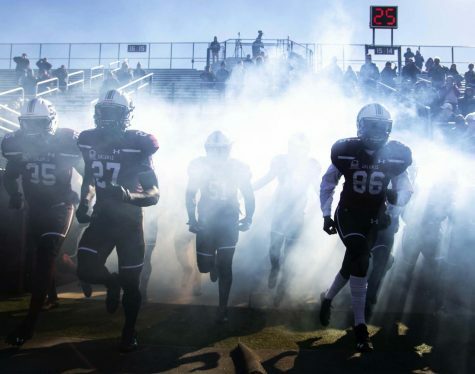 This weekend, SIU (4-5, 2-4 MVFC) is tasked with facing off against Youngstown State, the runner-up in last season’s FCS Championship. 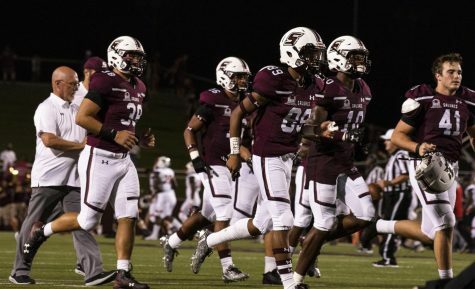 In 2015 — the last time the two schools met at Saluki Stadium — SIU used an overtime touchdown pass from senior quarterback Mark Iannotti to take down the No. 17 Penguins 38-31. This season YSU (4-5, 2-4 MVFC) played opponents close and only lost one game by more than seven points. In the loss to MSU, Southern gathered 28 points behind the split quarterback duties of sophomore Tanner Hearn and junior Matt DeSomer. Hearn threw for three touchdowns and one interception in his first career start, while DeSomer led the team with 74 yards rushing. 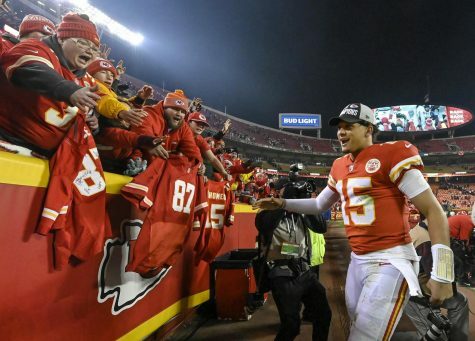 Hill said that last week was the first time that DeSomer — who also plays safety — appeared in the quarterback room to work on the offensive game plan. 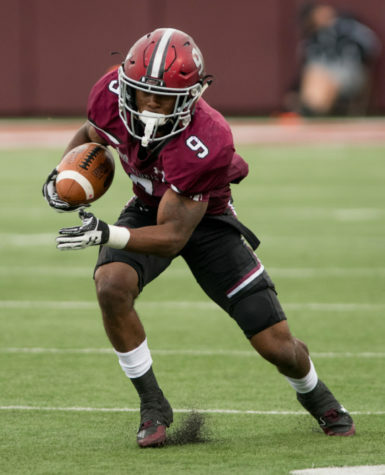 The Salukis allowed five plays of over 40 yards against the Bears on Saturday and face a YSU team that accumulated 66 points at Indiana State, the Penguins’ highest total this season. Through nine games this season, the Penguins have found most of their success in the running game. Youngstown ranks second in the MVFC with 1,911 yards rushing and an average of 212 yards per game on the ground with 23 touchdowns. 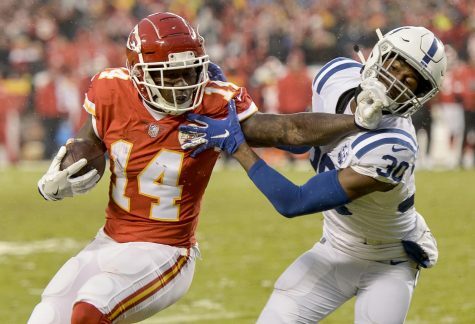 The Penguins also feature a defense that has only allowed 158 yards passing and 20 points per game to opponents. 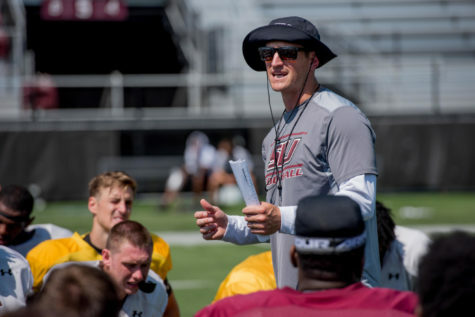 The Salukis fell victim to turnovers in the last two weeks, something that Hill said the team must focus on in the next two contests. According to Hill, Southern’s seven combined turnovers against MSU and YSU were a direct correlation to the outcome of the games. 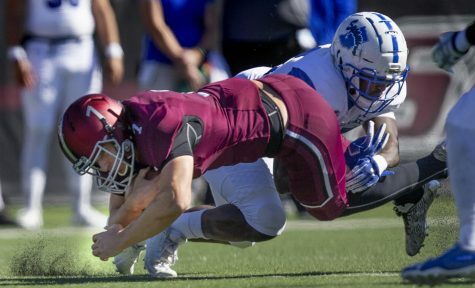 SIU’s objective leading up to the matchup against MSU was to win the final three games of the season and claim a spot in the playoffs. 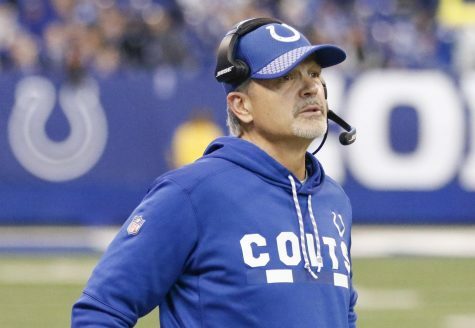 The loss to the Bears removed the Salukis from a playoff bid. 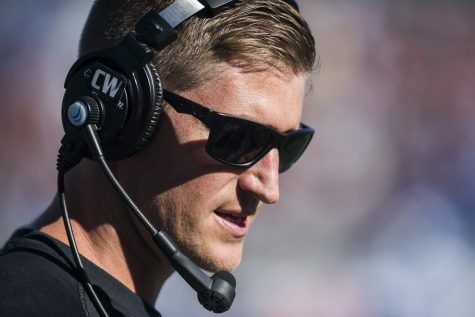 Southern’s fourth loss in the MVFC declined the squad from being able to achieve a record above .500 in league play for the fourth consecutive season. 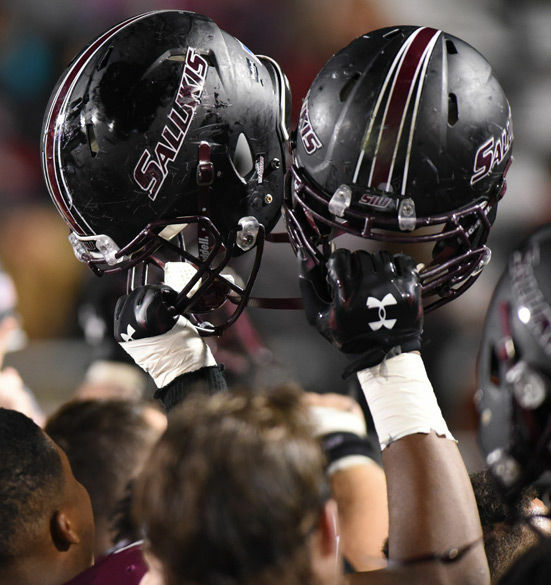 The last home game at Saluki Stadium marks the final time that Southern’s 14 seniors will take the field in front of the home crowd. Senior Day on Nov. 11 is scheduled to kickoff at 1 p.m.
Sports editor Nathan Dodd can be reached at [email protected] or on Twitter at @NathanMDodd.